175 terror suspects arrested in pakistan after Balochistan bombing : In the past two days on a combing operation, 175 terror suspects have been arrested in the Punjab province of Pakistan. The combing operation was launched after 74 people were killed in Balochistan in a suicide bombing at a hospital earlier this month. 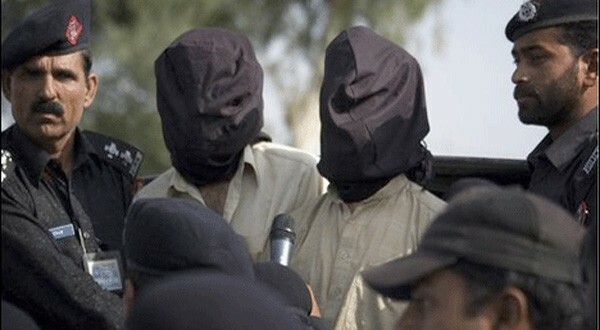 According to a statement issued by the Counter Terrorism Department that during the last two days, more than 175 terror suspects have been arrested in combing operations in Punjab. It said that the arrested terror suspects belong to various banned organisations. General Raheel Sharif who is the chief of Pakistan Army has ordered combing operations in the country following the Quetta suicide blast. In this suicide blast, 74 people, mostly lawyers, were killed in this month. Meantime, the Geo News agency said that the security forces have arrested 198 terrorists in combing operation in Punjab province of Pakistan between December 2014 and 11th August 2016 as per police records. The police record said that out of 198, 13 terrorists belong to Tahreek-e-Taliban Pakistan, 9 to Al Qaeda, and remaining to Lashkar-e-Jahngvi. No terrorist from Daesh (ISIS) has been arrested in Punjab province of Pakistan.